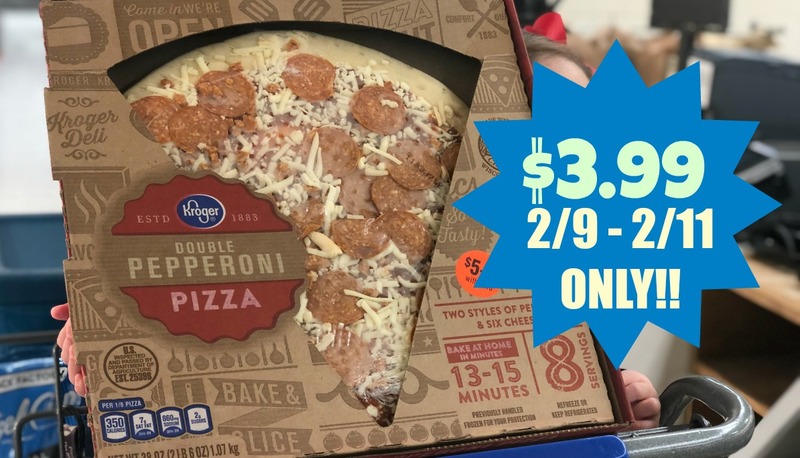 Kroger Deli Pizzas | $3.99 from 2/9 - 2/11 ONLY! We have a 5x Kroger Digital Coupon you can use on Kroger Deli Pizzas from 2/9-2/11 ONLY. Final cost for your favorite variety is $3.99. Go ahead! Have a pizza party! Thanks for the heads up on the pizza. It's what's for supper tonight! I bought 2 yesterday for my husband and kids! They are delicious!